The Most Reverend Albert Edward Dr. Baharagate was born to Isidore Kwebiiha and Febronia Kabanaku at Nyamigisa village, Masindi, District, Uganda on February 25, 1930. He attended St. Dominic Savio Primary School Nyamigisa, Masindi and St. John Kitabi Seminary, Mbarara Diocese, before proceeding to Katigondo Major Seminary where he earned diplomas in philosophy and theology. Ordained to the priesthood on December 7, 1958 at Nyamigisa Parish, Masindi, his first assignment was as a chaplain at St. Leos’s College Kyegobe in Fort Portal from where he was sent for further studies in Rome. He attained a Masters of arts (MA) and a Doctor of Philosophy (PhD) in Canon Law from the Pontifical Urban University. Pope Paul VI assisted by Archbishop Sergio Pignedoli and Archbishop Emmanuel Kiwanuka Nsubuga, consecrated Fr. Albert Edward Baharagate bishop on August 1, 1969 at Namugongo Martyrs shrine, Kampala. 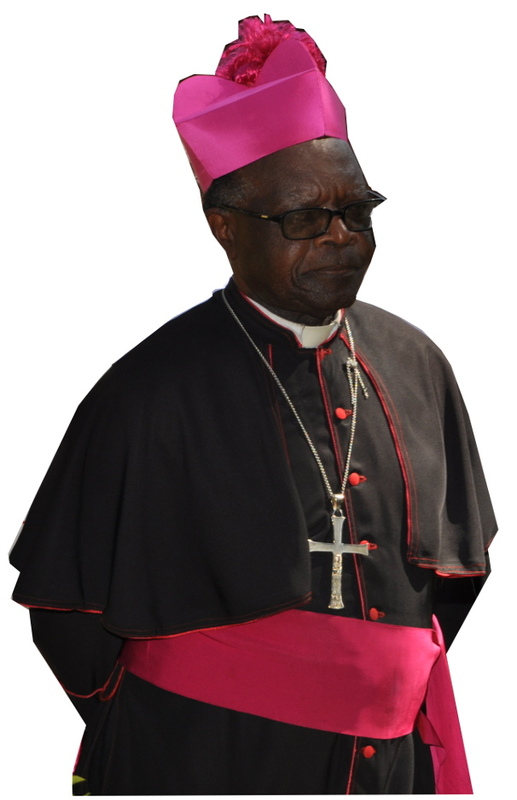 Bishop Baharagate was installed as Bishop of Hoima Diocese on October 5, 1969 at Bujumbura Cathedral, in Hoima town. He became the second bishop of Hoima succeeding Bishop Cyprian Byeitima Kihangire who had been transferred to Gulu diocese.